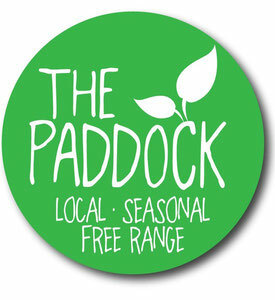 We have local, organically grown, fresh fruit and veg in stock from Wednesday morning grown by a range of local farms, as well as fresh free range eggs laid by Laura's Layers, the happy chickens at The Paddock and local, small-scale, free range chicken keepers. We focus on palm oil free products, produced as ethically, sustainably and locally as possible. We are delighted to welcome Jo from Rise Bakery back on board. Jo will be home baking her lovely fresh bread, baked with Gilchesters organic flour milled in Stamfordham and organic ingredients for the shop on a Wednesday and Friday morning. You will be able to collect bread from 12pm on these days and you can pre-order your bread throughout the week to collect from the shop to ensure your loaf is waiting for you. We offer large and small white and wholemeal loaves on both days with a different weekly special which can range from a seeded loaf, a fruit loaf to soda bread! Large loaves are £2.50, Small are £1.60 and Specials are £2.80. From July 2018, Alice's Artisan Bakery, Hexham will be baking a delicious selection of sourdough, rye and spelt loaves available for collection from our farm shop on a Thursday and Friday. Full information on all of our bread is available on the 'Fresh Bread' page - link on the left hand side, and you can pre-order via this page also. Delicious breakfast cereals including granola, muesli and oats from Yockenthwaite farm in the Yorkshire Dales. Eco friendly, plant based household cleaning products and zero waste essentials with refills available - bring your own bottle and refill from our selection in a bid to reduce your single use plastics! An organic, plastic free pantry - A selection of organic dried goods sold loose, such as pasta, rice, lentils, nuts, oats and seeds which you can refill from our bulk selection - no plastic! Remember your own container! Zero waste Essentials including plastic free soap, toilet rolls, kitchen rolls, shampoo bars, bamboo toothbrushes, truthpaste, degradable refuse sacks, biodegradable cloths, deodorants and more! Handmade Soap from Lily and Lottie, Gateshead. No plastic packaging and made using essential oils. We do not stock meat in our Farm Shop, however, you can pre-order via the website to collect on a Wednesday, Thursday or Friday. You can also pre-order any of our range through our website by a Sunday evening and collect from our shop! Shop our Range of Local Produce. Don't forget to bring your own carrier bag - we really do try to focus on minimal packaging and zero waste.